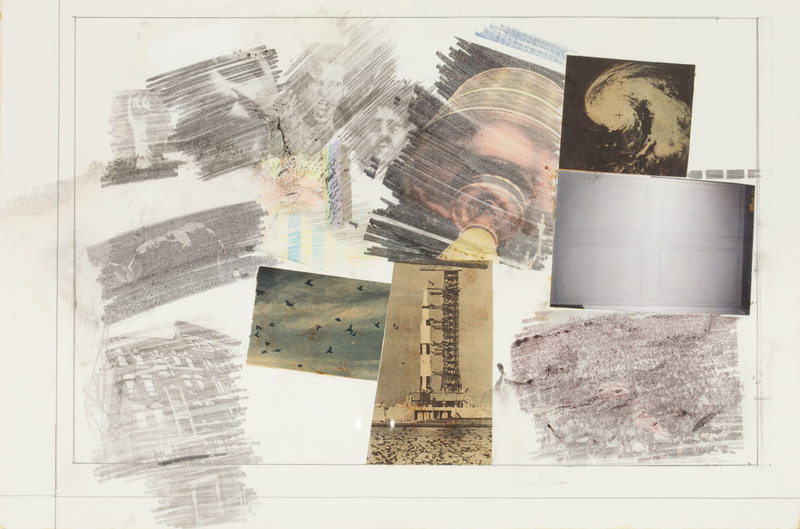 This exhibition is organized for the Cantor Arts Center by James Merle Thomas (PhD, Art History, Stanford University, 2014) in close collaboration with the Robert Rauschenberg Foundation. 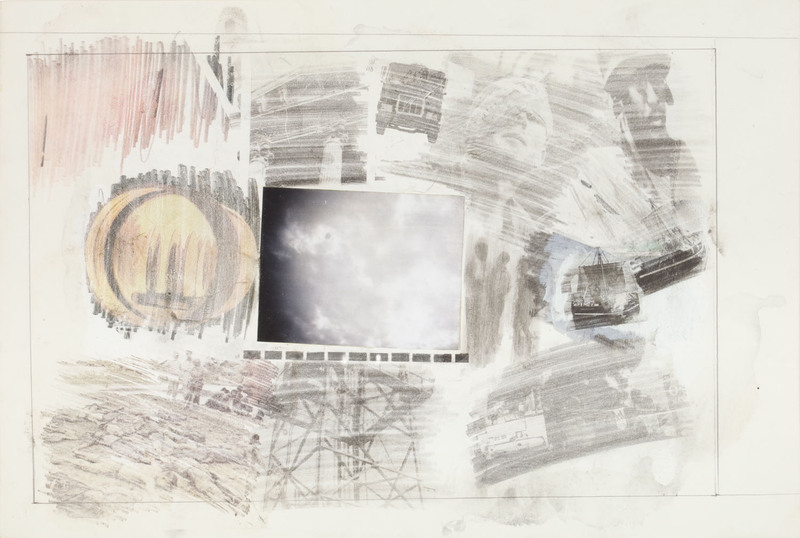 On view with a selection of Stoned Moon lithographs are drawings and text for the unpublished Stoned Moon Book, as well as the summary collage Stoned Moon Drawing. 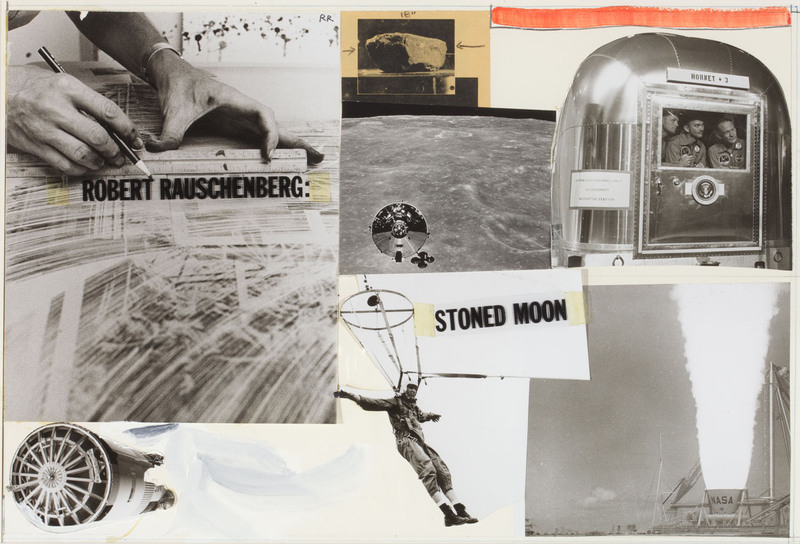 While working on the Stoned Moon prints Rauschenberg began a series of collages and drawings for a related publication that was to be produced in partnership with Gemini G.E.L. 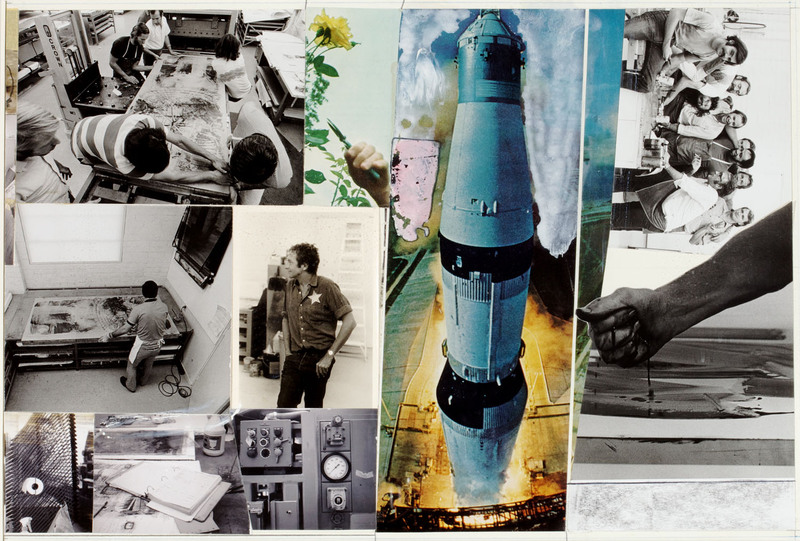 Planned as an edition of five hundred and intended to accompany a copy of Sub-Total (Stoned Moon), Stoned Moon Book was never published. 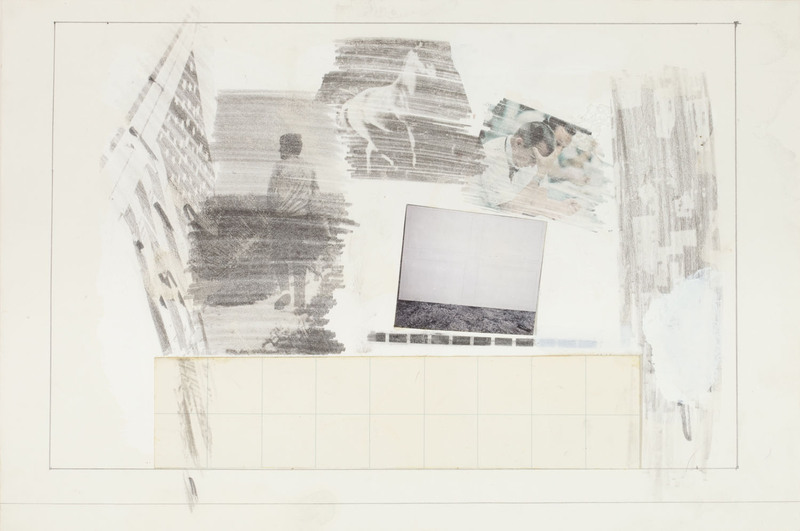 The artworks produced for the project remained in the artist’s personal collection, and have only rarely been seen or exhibited. 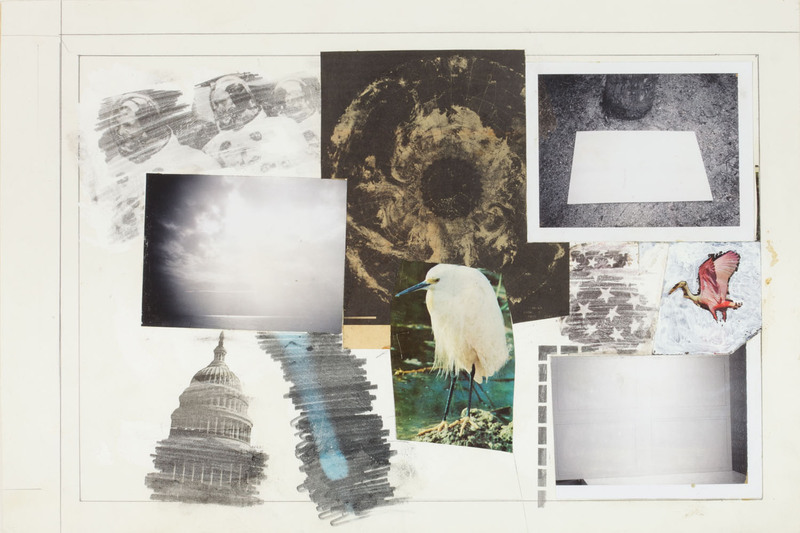 The compositions of Stoned Moon Book draw from photographs Malcolm Lubliner and Gemini G.E.L. 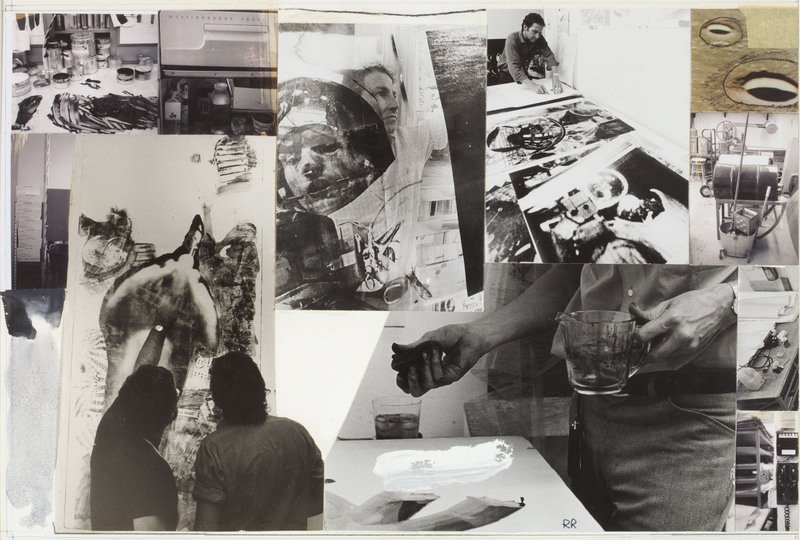 co-owner Sidney Felsen took of Rauschenberg as he produced the Stoned Moon prints. 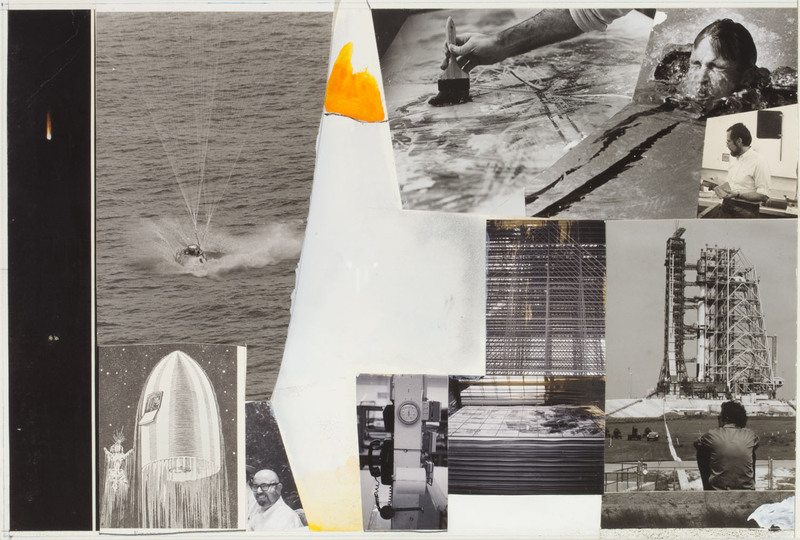 © Robert Rauschenberg Foundation / Licensed by VAGA, New York, N.Y.